Now completely revised (over 90% new), this is the authoritative diagnostic manual grounded in psychodynamic clinical models and theories. 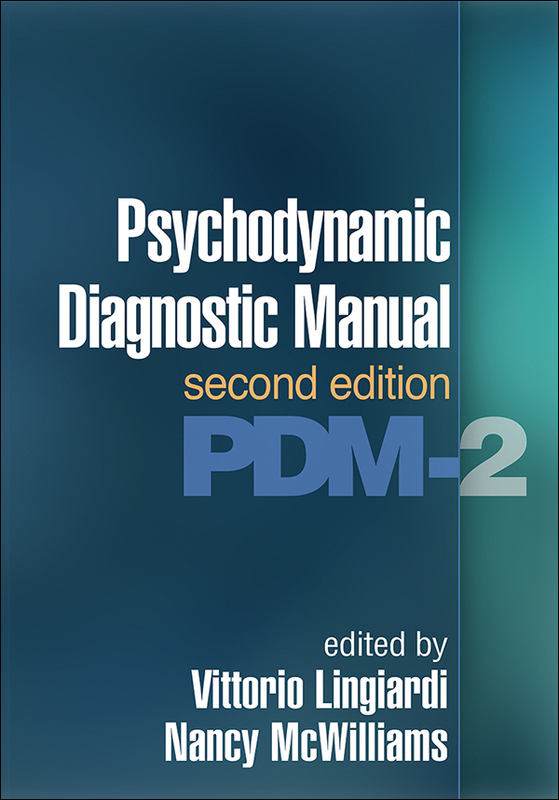 Explicitly oriented toward case formulation and treatment planning, PDM-2 offers practitioners an empirically based, clinically useful alternative or supplement to DSM and ICD categorical diagnoses. Leading international authorities systematically address personality functioning and psychological problems of infancy, childhood, adolescence, adulthood, and old age, including clear conceptualizations and illustrative case examples. Purchasers get access to a companion website where they can find additional case illustrations and download and print five reproducible PDM-derived rating scales in a convenient 8½" x 11" size. Significant revisions to all chapters, reflecting a decade of clinical, empirical, and methodological advances. Chapter with extended case illustrations, including complete PDM profiles. Separate section on older adults (the first classification system with a geriatric section). Extensive treatment of psychotic conditions and the psychotic level of personality organization. Greater attention to issues of culture and diversity, and to both the clinician's and patient's subjectivity. Chapter on recommended assessment instruments, plus reproducible/downloadable diagnostic tools. In-depth comparisons to DSM-5 and ICD-10-CM throughout. Sponsoring associations include the International Psychoanalytical Association, Division 39 of the American Psychological Association, the American Psychoanalytic Association, the International Association for Relational Psychoanalysis & Psychotherapy, the American Association for Psychoanalysis in Clinical Social Work, and five other organizations.